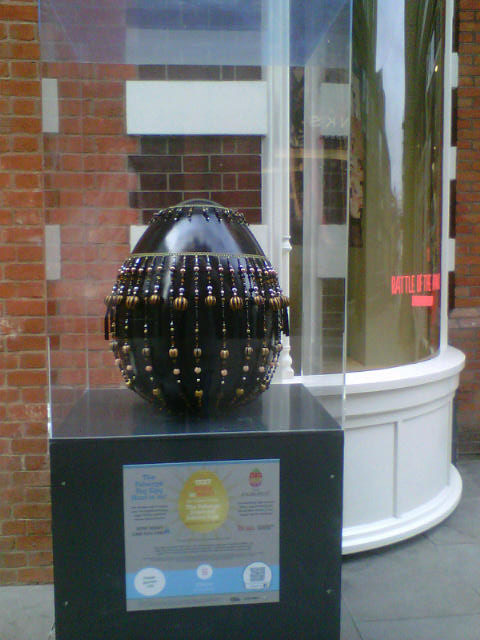 Today was the launch of the Faberge Egg Hunt around London. Here’s a tip – there’s one outside the V V Rouleaux shop in Pavilion Road, off Sloane Square, SW1X 0BP. Sloane Square and Marylebone Lane shops. Share your VVR creations with us. Who has been in our VVR shops recently?? What did you buy? What did you make? What did you accessorise? Share with us! Send Pix! VVR Exclusive Union Jack rose corsages! Our Creative Director, Annabel Lewis, has had a creative-genius moment – Union Jack Rose corsages. The perfect accessory for all events in 2012. Fly the flag at parties, events and obviously if you are in London, for the Olympics. Give them as a ‘button holes’ for your ushers at your wedding. Dress the table centre-piece with them. 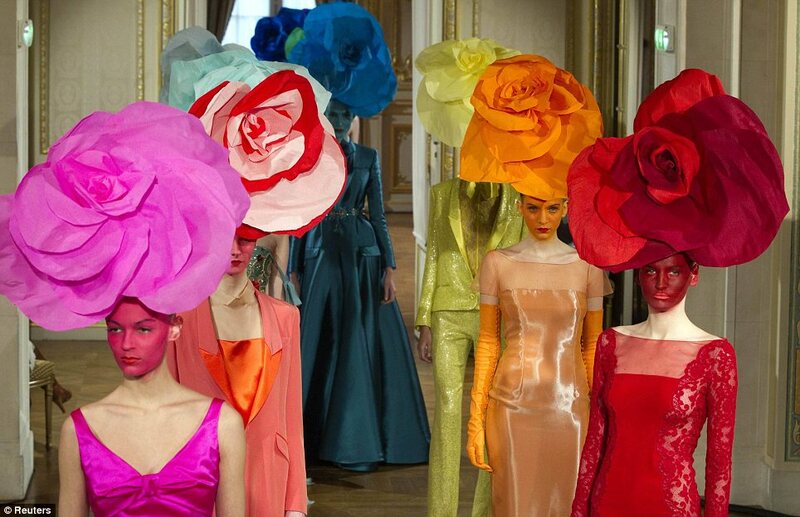 Wear them in your hair, on your shoes, the ideas are never ending! They are beautiful and the design is so subtle. They are in-store already – London, SW1X 0BP and W1U 2QD. We will let you know when they are available from the website. More new VVR trims to vamp up your clothes. We are always designing and commissioning new trims to be made and we bring them into our shops from all over the world. We have wonderful specialist suppliers who make up everything from fragile lace for lingerie and collars, glass beaded trims for dresses and lampshades and feathered trim by the metre to grosgrain and velvet ribbon with a difference. Do you remember the Tom Ford glasses advert we posted? It featured VVR double-sided velvet developed specially for Tom Ford – well it is now available to all of you online in 20 colours!! http://bit.ly/z1ubS2 Our Creative Director, Annabel Lewis, travels all over the world searching and briefing artisan craftsmen in Japan, Spain, China and France to name a few of the far flung places she visits. See the gallery below to get some ideas: More follows over the next few days. 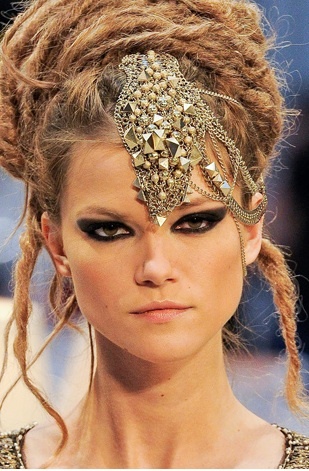 Amazing Chanel head pieces on the Paris runway! 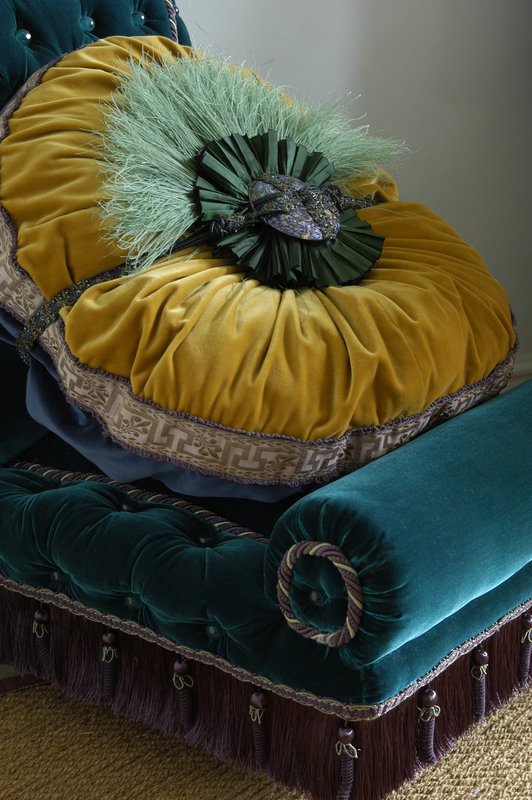 Luscious chair and cushion with the VVR creative treatment! Revamp your clothes, cushions, covers and curtains with our amazing new trims! Frustrated because you would love some new clothes or your sitting room and bedroom could do with some added extras? Well get creative and revamp your cardigans, jackets, coats, cushions, covers and curtains. We have a new range of amazing trims to add something special. Your friends will think it’s the new you or that you’ve redesigned your room. Check out our VVR gallery below. Our staff are delighted to get creative with you if you take an item of clothing, cushion or cloth into our shops to discuss ideas. V V Rouleaux at: 261 Pavilion Road, by Peter Jones off Sloane Square, SW1X 0BP and 102 Marylebone Lane, London W1U 2QD or online http://www.vvrouleaux.com. Add pompoms to your scarf to revamp it for this cold weather. The last few days have been so cold you have probably reached into the cupboard to grab a scarf and thought “Oh no, not this one again – I could do with a new one!” It’s the time to revamp and accessorise your clothes. 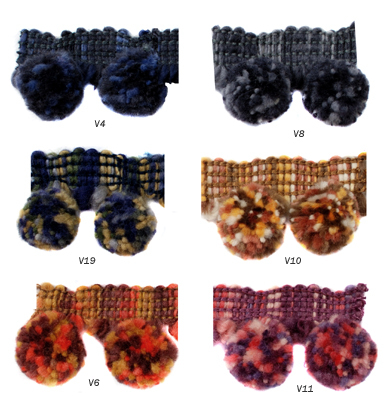 Try this fabulous pompom trim to give a new lease of life to a scarf and hat. The colours will compliment a wide range of outfits! Ref No. 17448 – in store and online. www.vvrouleaux.com PS you could also use them to trim a cushion, lampshade, curtains, etc. !